jetNEXUS comes with application specific templates called jetPACKS, which allow you to instantly configure your Load Balancer for critical applications. Instead of having to wade through pages of documentation in order to understand complex networking appliances and learn the specific policies, cookies, ports and health checks required, jetPACKS enable you to deploy a fully operational load balancer in minutes. 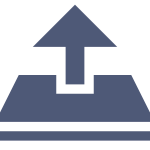 jetPACK automatic configuration templates are available to download from User Central, or direct from the edgeNEXUS App Store within the ALB-X interface. edgeNEXUS allows You to do in a single click, what many of our competitors will charge days of Professional Services to do. The jetPACK deployment template meant that the system was up and running within minutes rather than hours; ensuring minimal impact on business operations.